We preserve a traditional method of making Inaniwa Udon. 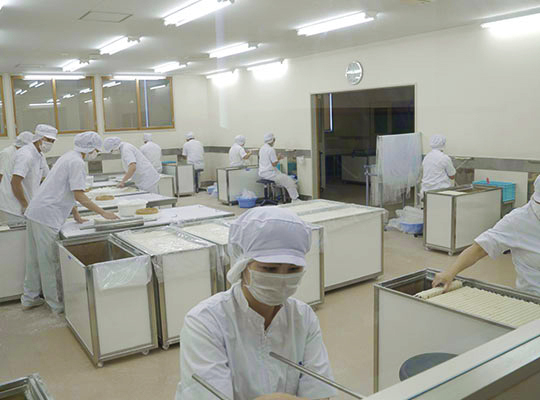 We use no machines, and Inaniwa Udon are born in a well sanitized factory. Would you like to see our secret method? Kneading a dough with hands. After maturation, place the dough on a table, and make it flat with a roller. Cut the flatted dough parallel into the same width, and roll and stretch it with hands to make it a string like shape. Place the dough in a bucket to be like a spiral. Twist the dough, and hung it to two bars as if drawing number eight so that the dough gets longer and thinner. 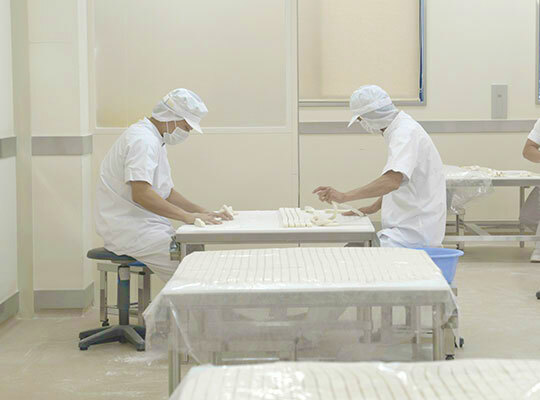 This process makes Inaniwa Udon strong and chewy. After maturation, press the twisted dough in order to make it flatter. The shape of the dough becomes very close to noodle. Hung one of two bars to a holder, and rub noodles to make it even longer and thinner. Leave and dry the noodle in an air controlled room. 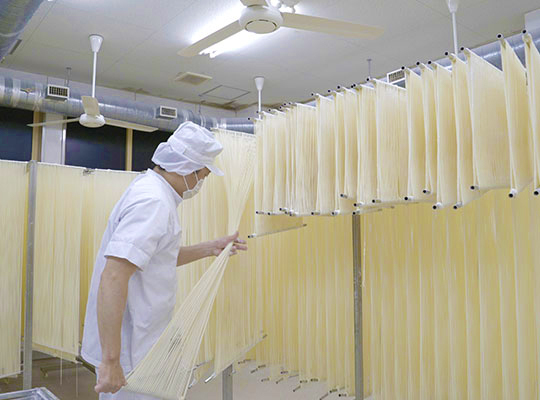 The noodles become approximately 120cm by this process. 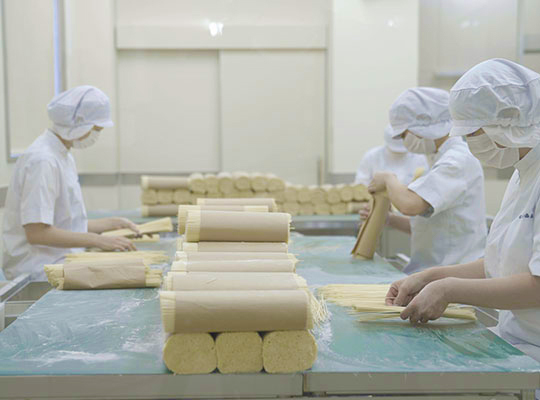 Well trained factory workers select good quality noodles carefully by their hands and eyes after the dried noodles are cut it in the same length. So that the noodles are cooked evenly. Our factory is closed on Sundays. However, you can still see pictures in front of the factory.